There’s a new doll in town, and she’s showing our girls what it’s like to be a woman in the 21st century. 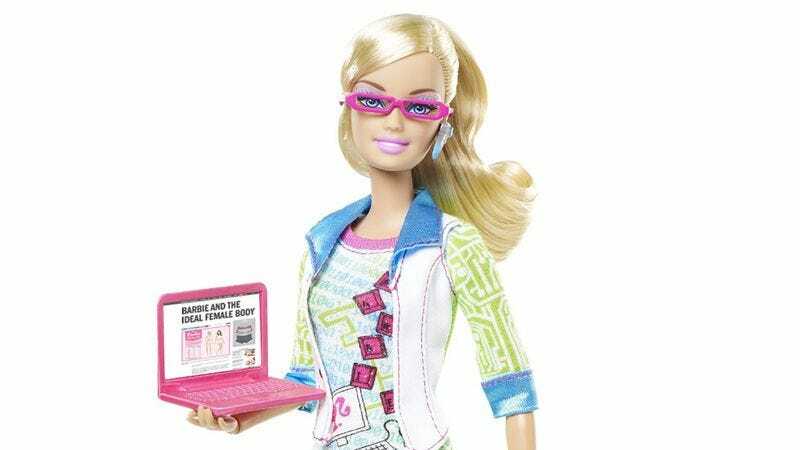 You heard it here first: Mattel is making a modern Barbie that comes with a computer with a blog post criticizing Barbie’s body size on the screen. This definitely isn’t the Barbie from your childhood! Finally, a doll moms can get excited about! This modern Barbie isn’t just your average toy: She can accidentally burn an hour at her laptop reading medical testimonies about Barbie’s 3-inch infant feet, or she can quickly scroll through hundreds of heated comments calling for Barbie’s production to be discontinued. Needless to say, we wish we had something like this when we were growing up. So, let’s get out there and give our modern girls a modern doll they can be proud of!